The Bavaria Party (German: Bayernpartei, BP) is a autonomist and regionalist political party in the state of Bavaria. It was founded in 1946 and describes itself as patriotic Bavarian, advocating Bavarian independence within the European Union. Together with the Christian Social Union (CSU) it can be seen as an heir to the Bavarian People's Party (BVP) which existed prior to the Nazi takeover. 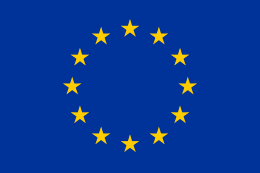 The party is a member of the European Free Alliance. The party had some successes at the polls in the late 1940s and 1950s: 20.9% of the vote in 1949 and 17 seats in the German Bundestag and, in 1950, 17.9% and 39 seats in the Bavarian state parliament where in 1954 it formed a coalition with the Bavarian branches of the Social Democratic Party of Germany (SPD) and the Free Democratic Party (FDP). This forced the Christian Social Union (CSU) out of power for three years. Later, the Bavaria Party rapidly lost voters. It still exists but was last elected to the Bavarian state parliament in 1962. In the 2008 local elections however, the party won 50 seats (compared to 32 in 2002), mostly in Upper Bavaria, including one of the 80 seats in the City Council of Munich, the 1.3 million capital of Bavaria, after 42 years of absence there. The Bavaria Party won one seat in the District Parliament of Upper Bavaria. The current chairman of the party is Florian Weber from Regensburg in the Upper Palatinate. In the autumn of 2013, the elections for the Bavarian Parliament brought the best result for the Bavaria Party since 1966. It increased its share of the vote. In Bavaria, the BP reached 2.1% (2008: 1.1%). ↑ Bildung, Bundeszentrale für politische. "Bayernpartei (BP) - bpb". bpb.de. ↑ Jason Sorens (2012). Secessionism: Identity, Interest, and Strategy. McGill-Queen's Press - MQUP. p. 180. ISBN 978-0-7735-3896-2. ↑ Daniele Caramani (2004). The Nationalization of Politics: The Formation of National Electorates and Party Systems in Western Europe. Cambridge University Press. p. 303. ISBN 978-0-521-53520-5. ↑ European Free Allianz, Bavaria Party local election Archived September 27, 2013, at the Wayback Machine. ↑ "Landtagswahl 2013 - Bayerisches Landesamt für Statistik und Datenverarbeitung". Landtagswahl2013.bayern.de. 2002-07-01. Retrieved 2013-12-20. ↑ Bezirk Oberbayern - Wahlteam. "Bezirkstagswahl Oberbayern". Bezirkstagswahl-oberbayern.de. Retrieved 2013-12-20. ↑ "Bezirkswahl in Niederbayern: Fotos der neuen Bezirksräte". Pnp.de. Retrieved 2013-12-20. ↑ mittelbayerische.de. "Der Bezirkstag wird etwas bunter". mittelbayerische.de. ↑ "Bezirkstagswahl: BP vervielfacht Mandate | Bayernpartei". Landesverband.bayernpartei.de. Retrieved 2013-12-20.